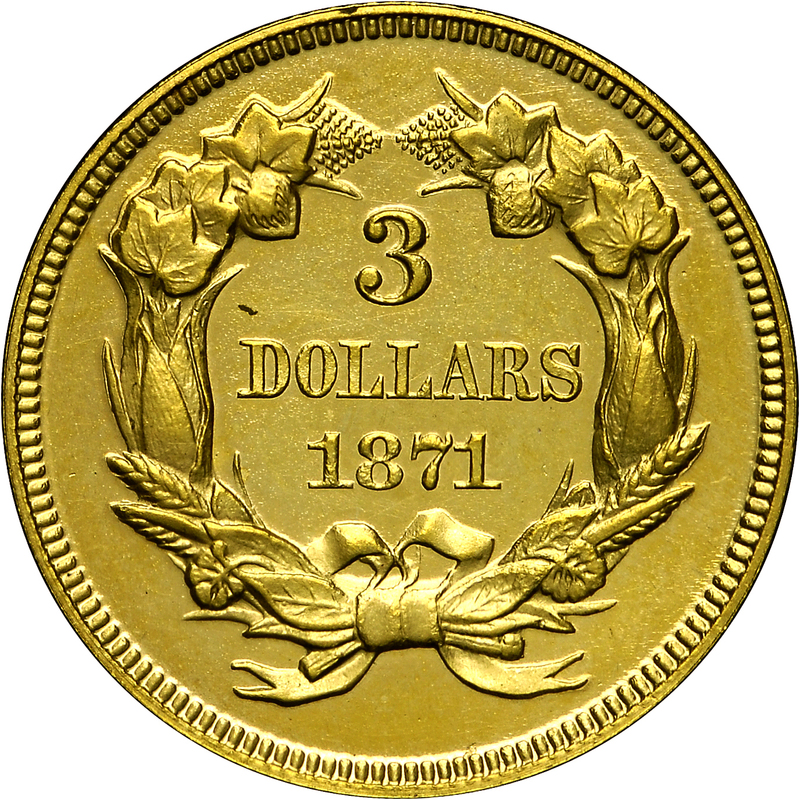 This coin is an example of a rare date with just 1,300 circulation strikes minted in addition to 30 Proofs, the latter struck February 12. 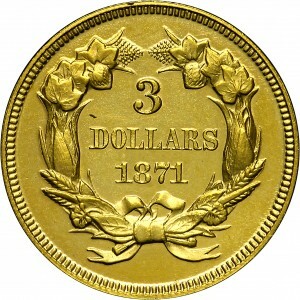 Approximately a dozen Proofs survive from two different obverse dies. 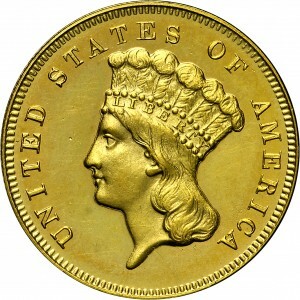 This example is from the same obverse die used to strike 1869 and 1870-dated Proof coins from the Bass Collection. Purchased from Stanley Kesselman, July 1, 1974. 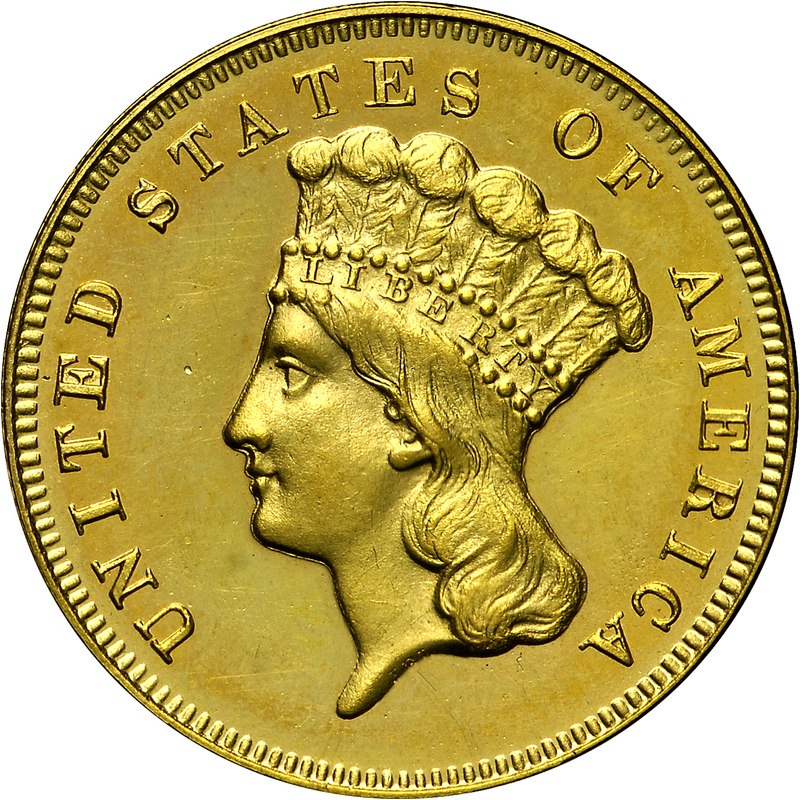 (adapted): "Obverse: Die scratch from denticle above O(F) to (O)F. Reused for Proofs of 1874 and 1875. Very lightly hubbed; tops only of J.B.L. visible, portion of front of headdress missing (distinctive). No 'Ghosting'. Reverse: Open 3. Date very low, barely above ribbon loop; level relative to DOLLARS. All characters firmly punched and distinct. Left interior leaf opposite date is a thin, broken remnant with miniscule base at junction with wreath leaf below. Right interior leaf is thin. Lower one-third of left bow loop and center space filled. Right loop clear with but a stub of vertical ribbon element within, and none projecting into field from top of right loop."